We are 11 days into the 2014 World Cup in Brazil, and the tournament has been nothing short of spectacular. We've already seen such shock story lines as defending champion Spain's two and done elimination, as well as Costa Rica sitting atop Group D ahead of three World Cup winners in Italy, Uruguay, and the already ousted England. Just four years after a complete team meltdown, France are looking like one of the tournament favorites following 3-0 and 5-2 demolitions of Honduras and Switzerland, respectively. Colombia are proving another present surprise in Brazil, as they find themselves top of Group C with two wins from two, despite being without star striker Radamel Falcao. Hosts Brazil top Group A, although they are level on points with Mexico, and both are breathing hard with Croatia just a point back of them. Lionel Messi has stepped up and come to the rescue of Argentina twice already, most recently with a superb winner in the dying moments of their match against Iran. 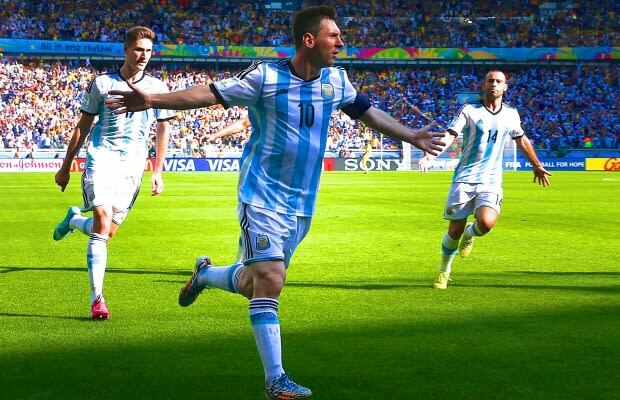 Will Argentina ride Messi to glory? Will Brazil progress as the people's champion? Or will a European nation finally claim the top prize in sport on South American soil? From Luis Suarez sending England on their merry way to Tim Cahill producing one final moment of magic for Australia, get caught up on all the action in Brazil with The Best Golazos and Skill Moves of the Week.